The name says it all. Our Classic style is a timeless look. Available for immediate Quick Ship. Per foot price is for ROUGH ESTIMATING ONLY! Send us a layout drawing for a 100% accurate quote. Download our Price Book below to view unit prices and matching gates. Our Pool style is built to meet BOCA code for a fence enclosure. Available for immediate Quick Ship. Why buy our Infinity Aluminum®? Aluminum will not rust even when bare metal is exposed. Beveled Horizontal Rails for Added Strength & Beauty. Welded Aluminum Finials Included at No Extra Cost. Routed Posts for a Tighter and Cleaner Panel Connection. Maintenance and Worry Free for a Lifetime. What aluminum fence heights do you offer? Our Pool style Infinity Aluminum Fence panels are 6ft (72in) wide when installed and come only in a 54" height to satisfy pool code. We can also make custom heights for you. See the ‘Custom Designs’ section of the site for more details on custom fence heights. Do you offer aluminum gates that match the fence? We also carry a full array of hinge and latch options for all gates. 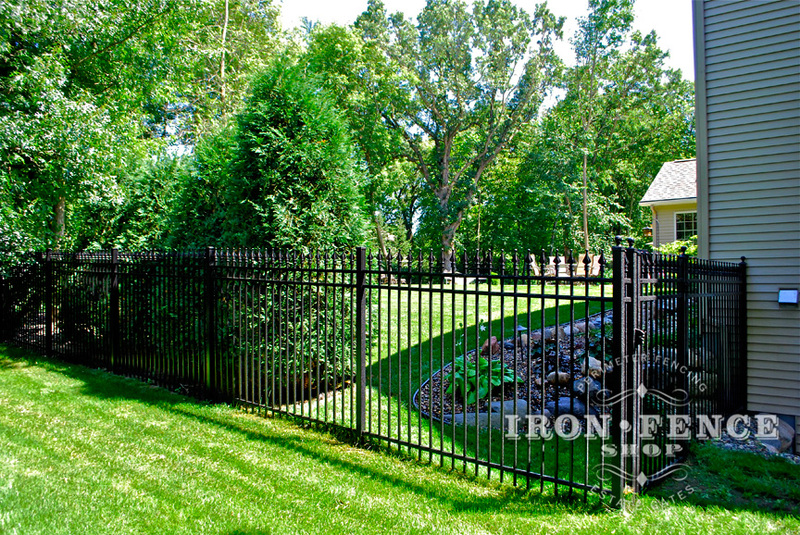 Ask your Iron Fence Shop salesperson for options that would best work for your application. How do I get a price quote for my aluminum fence project? Can I install this aluminum fence myself? Yes you can and roughly 90% of our customers do! It will also help cut your project cost roughly in half by not paying a fence contractor to do it. You will likely do a much better job as its your home and you can spread the project out whereas a fence contractor is looking to get your fence up as quickly as possible and move onto the next job. The majority of the photos in our Knowledge Center Photo Gallery are from customers that installed it themselves. Installation requires only basic hand tools, as everything is modular. The rails of the aluminum fence panel will insert into the post. For more detailed install guidelines, visit the Installation page in our Knowledge Center. How soon will I receive my fence after ordering? Our Classic and Pool styles are kept stocked in our warehouses. Lead time is usually a week from order to leaving the warehouse. Once an order leaves our warehouse, it’s typically a week or less for delivery depending on where you live. How much does shipping an aluminum fence cost? If your material total is less than $4000, we charge a flat shipping rate of $395 within the United States (excluding HI and AK). Why choose aluminum over other types of fence? The main benefits of an aluminum fence are that it is lightweight, durable and virtually maintenance free. Unlike steel and iron that can rust if its protective powder coat is compromised, aluminum will not corrode further when exposed. 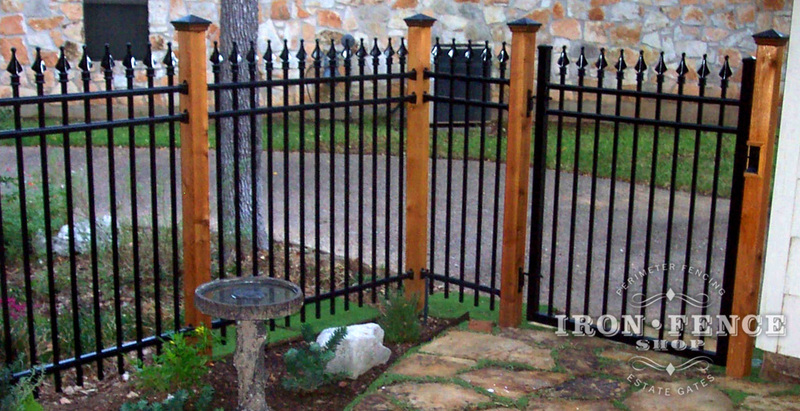 Aluminum fence panels are also more versatile since they can “rack” to follow yard grades. This eliminates the “stepping” look many fence types require and gives a continuous line that follows your yard’s contours. Aluminum as a metal is very strong, but also lightweight. 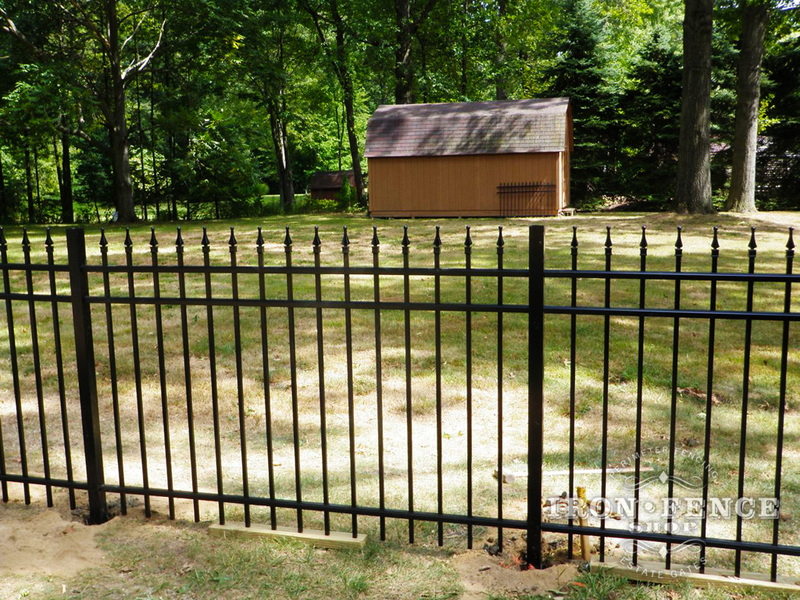 An aluminum fence will also outlast anything made of wood, vinyl or composite. How is your aluminum fence better than others I found online or locally? Our Infinity Aluminum line includes welded on, solid aluminum finials. We are the only company in the industry offerings this! 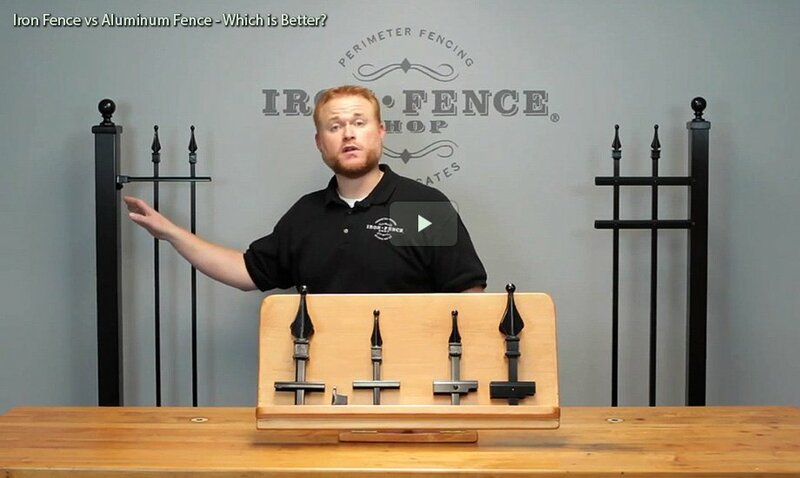 Our competitors have only ugly pinch tops or charge extra for adding optional press-on finial tips to their fence. When you add up the cost of their panels with those optional press-on finials, they actual cost much more than ours with welded on finials included! We feature a beveled edge on the horizontal rails of all our Infinity Aluminum pieces. It is a small detail, but one that adds both elegance and additional strength instead of the standard and weaker squared rail offered by others. We route our aluminum fence posts to exactly fit our rail rather than square punch them. This provides a cleaner look and tighter connection than the competition. It also means no gap under the rail that can allow bees and wasps to nest in your posts. Our TGIC powder coating has UV fade inhibitors as part of the formulation to keep your fence looking good for decades and not fading or ‘chalking’ after being up a few months. Our walk gates feature a fully boxed U-frame that is welded square to prevent the gate from ever sagging. None of our competitors offer this standard. What is the difference between ‘Traditional’ and ‘Signature’ grade aluminum? 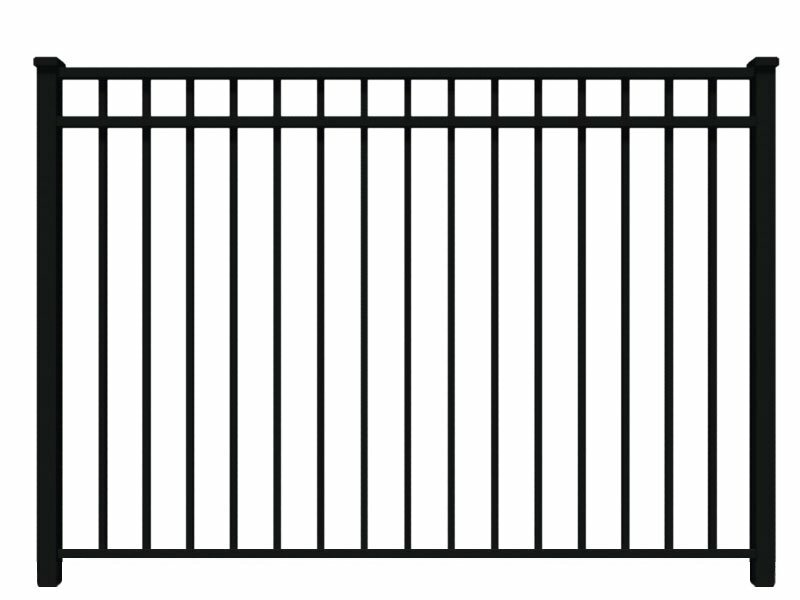 We offer our Infinity Aluminum products in two grades to provide options on profile and strength within each style of fence. Our Traditional grade of Infinity Aluminum is the smaller of both profiles with a 5/8” square, 0.050” picket and 4in tall finial tip on top. Our Traditional grade profile more closely represents the fences made 100 years ago with its smaller features. In terms of appearance, we recommend the Traditional grade when you want the fence to blend in as part of the landscaping and not be a main focal point. Our Signature grade of Infinity Aluminum is the larger of both profiles with a ¾” square, 0.050” picket and 6in tall finial tip on top. Our Signature grade is the more heavy-duty option, as its larger profile components are stronger than its Traditional grade counterpart. In terms of appearance, we recommend the Signature grade when you want the fence to stand out as a main element in your landscape. 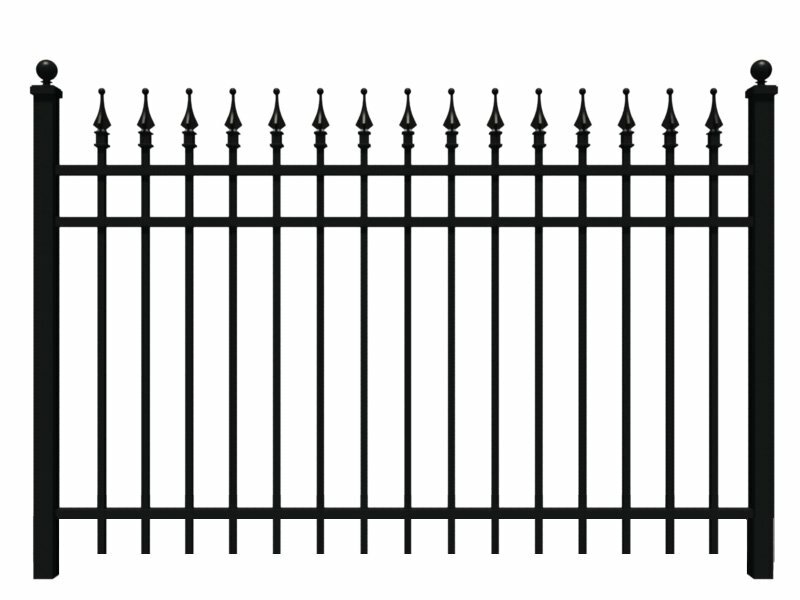 Do I need a Traditional or Signature grade aluminum fence for my project? There is no set rule on which grade to utilize. 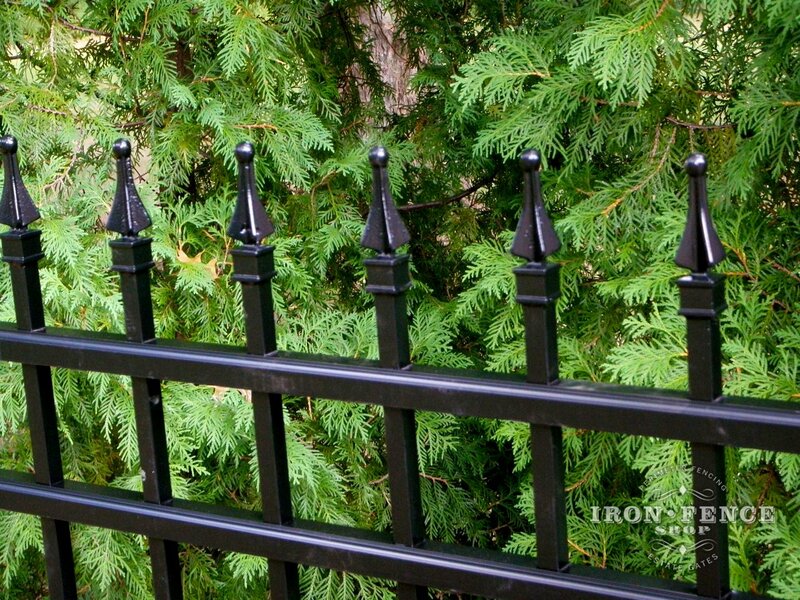 Discuss where you will be installing the fence with your Iron Fence Shop Sales salesperson and they can help suggest which grade would work best for you.